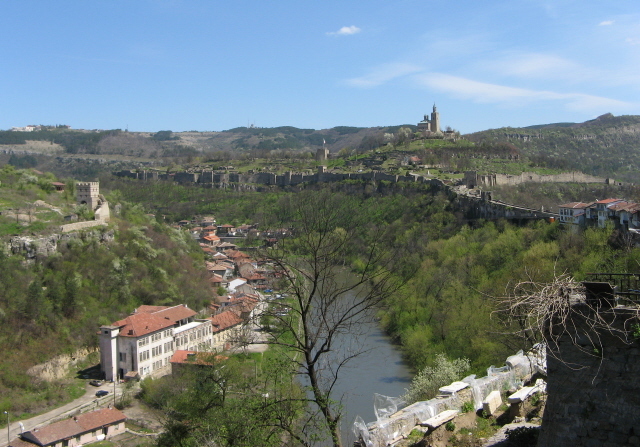 A former Eastern Bloc country that once was (and to a degree still is) one of the East's prime holiday destinations – if more for its Black Sea beach resorts, and (especially today) cultural tourism, rather than dark tourism. Still, the communist part of the country's history left plenty of dark attractions too that are well worth exploring. While some of the country's dark sites are conveniently located in or near the capital city Sofia, others are significantly harder to access. However, there are specialized tours available that make it easy to visit all (or most) of them in one comprehensive swoop. A Slavic country in Eastern Europe, more precisely the south-eastern Balkans, Bulgaria has had a long, eventful history. For a five century chunk of it, however, it was dominated by suppression and occupation by the Ottoman empire. 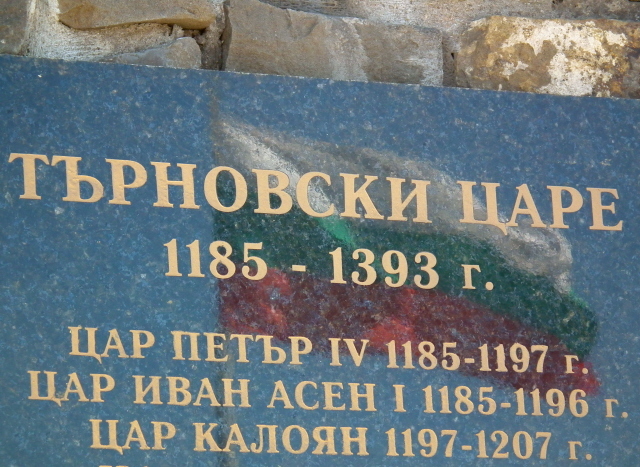 The liberation from Turkey in 1875-78 thus plays the most prominent part in Bulgarian history appraisal. This also saw increased influence of Russia (it was the Russian Army that had been instrumental in defeating the Turks). 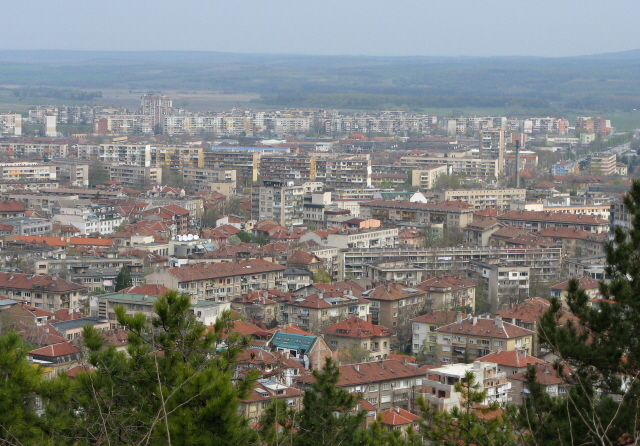 Also as early as the late 19th century, a socialist movement formed in Bulgaria – though it wasn't until the end of WWII that it actually became a socialist republic. 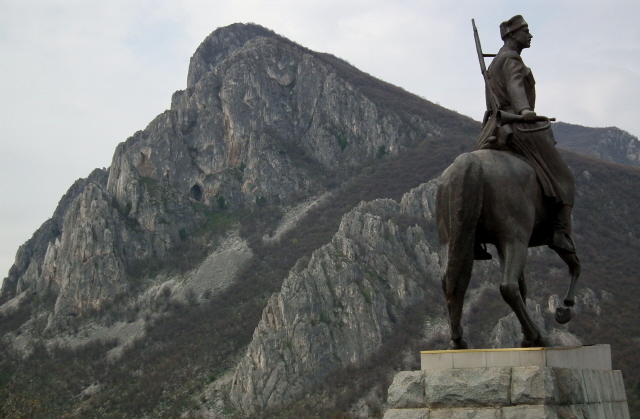 Before that, Bulgaria had the knack of always siding with the "wrong" allies at the other end of the political spectrum, defeated in the Balkan wars of 1912-1913 and the following First World War, it became a militarized dictatorship under Tsar Boris III, and then, again, sided with the very worst "baddies", namely the Axis powers, i.e. Italy's and Germany's fascists/Nazis in WWII, though it at least largely resisted taking part in the Holocaust or the aggression against the Soviet Union. With the death of the Tsar and the impending defeat in WWII, the socialists assumed power and in the post-war beginnings of the Cold War era Bulgaria became the Eastern Bloc country most aligned with its masters, the Soviet Union – so much so in fact that it was sometimes even called "the 16th republic" of the USSR. The rule of the first foremost leader of Bulgaria's communists, Georgi Dimitrov, a dyed-in-the-wool Stalinist, didn't last that long – his sudden death in 1949 in Moscow spurred suspicions that he may even have been poisoned. As if in compensation he was given a massive mausoleum in Sofia where he remained lying in state, embalmed like Lenin, until 1990 (when he was removed and the mausoleum later demolished). After Stalin's death in 1954, Todor Zhivkov became Bulgaria's communist leader – and although his reign was accompanied by the usual nepotism, an all-pervading state security system and general political repression that has always characterized such regimes, he was in comparison a fairly "benign" dictator (he also didn't have the prerequisite "fierce" strongman looks, unlike, say, Tito, but appeared much more "harmless" all round). Amongst his credits was the closure of camps for political prisoners (esp. the most infamous one located on the Danube island of Belene), and his leading Bulgaria to remarkable economic stability, although that in itself heavily relied on Soviet support. On the other hand, he tarnished his reputation late in his career, in the 1980s, during a positively racist campaign of "Bulgarization". This was directed primarily against the country's large Turkish minority, who were forced to change their names, while Islamic culture and beliefs were heavily suppressed in general, prompting many Turks to leave to country altogether. Zhivkov remained in power longer than any other figurehead in the Soviet sphere: right until the fall of communism in Bulgaria on 10 November 1989, a day after the fall of the Berlin Wall. 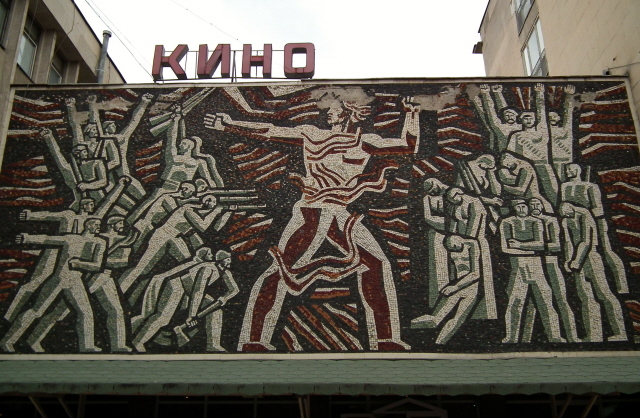 The end of communist rule in Bulgaria was achieved in one of the most peaceful "revolution" of any Eastern Bloc country (together with the CSSR and the GDR, but in sharp contrast especially to neighbouring Romania). 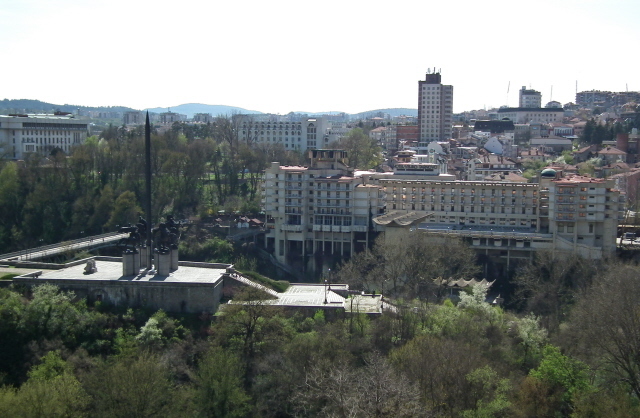 Bulgaria's subsequent transition to freedom, a multi-party democracy and market economy was a rocky path, especially in economic terms. But the country eventually succeeded in becoming a member of NATO (in 2004) and the EU (in 2007). It is obviously immensely proud of this too, with EU flags flying next to the Bulgarian national one almost everywhere in the country! The style of coming to terms with the nation's communist past, on the other hand, has often been a harsh, even revisionist one. 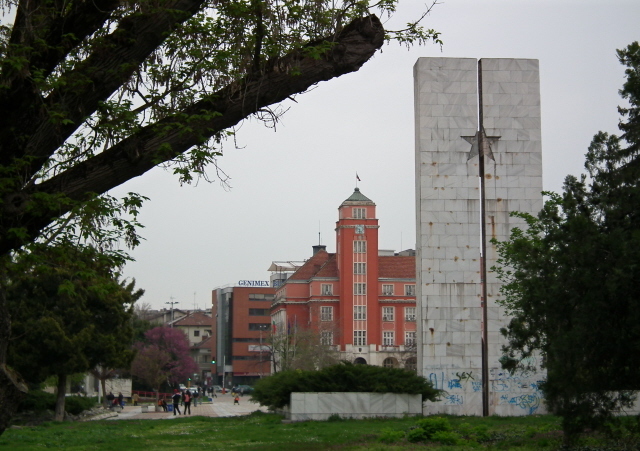 One notable casualty, as already mentioned, was the mausoleum of Georgi Dimitrov in Sofia, which was controversially demolished in the 1990s. 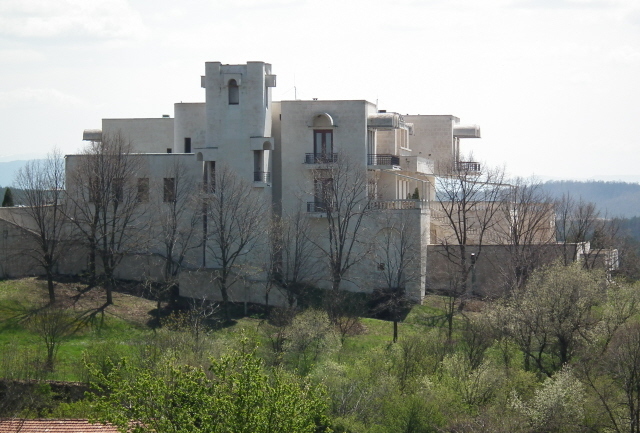 Other relics remain, however, such as the Todor Zhivkov birth house and the adjacent exhibition of gifts to the great former leader. This place, located in the small town of Pravets not far from Sofia, is still a kind of shrine to nostalgic Zhivkov followers as well as curious (dark) tourists. 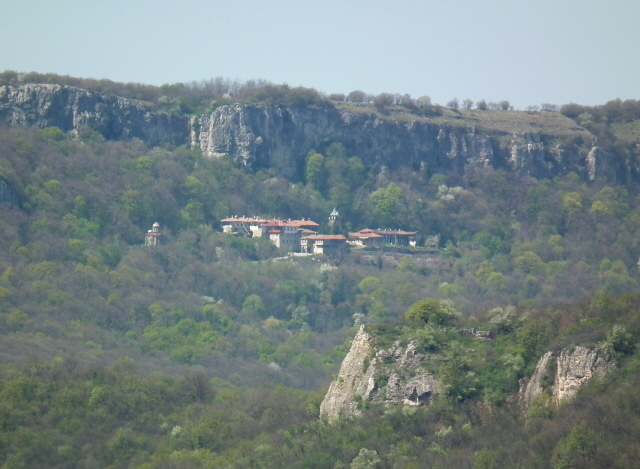 Moreover, one of his former residences, in Arbanasi near Veliko Tarnovo, has been turned into a 5-star hotel, where you can even reside in the big man's presidential suite! A legacy of Bulgarian-Russian alignment of a very different sort is the infamous nuclear power station at Kozloduy on the Danube in the north of the country right on the border with Romania. This was until a few years back regarded as one of the world's most dangerous such plants (together with Armenia's Metsamor, for instance). The four old Soviet reactors that gave it this reputation have meanwhile been shut down (a requirement for EU membership). Only the newer and safer 5th and 6th reactor blocs are in operation today. The plant sports a visitor centre and offers guided tours to the general public – which is quite a treat for the so inclined dark tourist too! The absolute crown jewel in Bulgaria's dark tourism portfolio, however, has to be the stunning monument of Buzludzha. Though in a sad state of dereliction these days, it is in my view still the most impressive communist monument of them all. All these sites, and many more, can be incorporated into more or less comprehensive guided "Communism Tours" of Bulgaria offered by the travel agency "nvision travel" – for more, see the separate sponsored page here. There's obviously a lot else to the country too, including its many more mainstream historical sites (monasteries, archaeological sites, etc. ), as well as culinary highlights. The latter not only include the predictable Balkan cuisine based largely on meat and feta cheese (as well as the world's best yoghurt), but also featuring plenty of choices for vegetarians. Bulgarian wine is in many parts of the world regarded as cheap mass-produced plonk (and that exported to those parts of the world often is indeed just that), but that's unfair in so far as you can find numerous counter-examples in the country, including some truly outstanding tipples, as I found when I toured the country in April 2011. 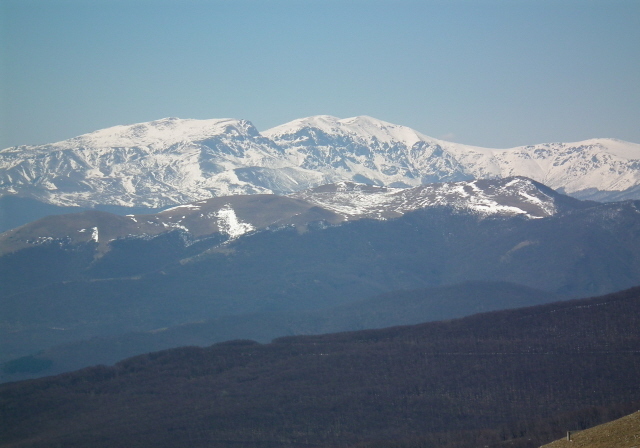 All on all: Bulgaria deserves more attention on the part of both "normal" as well as dark tourists. It's still a bit on the "exotic" side, though I found it generally more "Europeanized" (i.e. also Westernized) than, say, neighbouring Albania or Romania. The tourism infrastructure is generally much more highly developed than you might expect in this south-eastern end of the European continent – and it's often still quite affordable price-wise. This makes it a perfect destination for combining the quirky and dark with creature comforts and a great variety of scenery, culture and food & drink pleasures. Highly recommended. Do go.